Torino will travel to Florence with an amazing on the road record. They are undefeated in 15 of their last 16 away matches. Viola, on the other hand, are without a home win for Serie A since December. They have four draws in a row at Artemio Franki. As you can imagine they have slim chances of booking their place in European competitions. But what is going to happen in today’s clash? Torino side know that if they win this afternoon, they could be in the first six places. It is really hard to predict when it comes to Fiorentina. But we do believe that lots of goals will be scored here. So we will go with the Over 2.5 option. The Checkatrade Trophy may not be everyone’s favourite tournament. But then again this is set to be a fantastic occasion with a record-breaking crowd of over 80,000 fans expected on Wembley this afternoon. One of the many other reasons that will make this a great final is the fact that it really is a game that can go either way. Portsmouth and Sunderland are next to each other in the standings, with just one point separating the pair. We can really tell which of them is going to win the title. We prefer to enjoy the match and just hope Both Teams to Score. The undefeated for 10 of their last 11 home matches Sevilla will host Valencia at Ramon Sanchez Pizjuan. The away team are on a 15-game unbeaten run, which has taken them sharply up the league table, as well as to a Copa del Rey final and the quarters of the Europa League. So what it happens when two teams in a great form meet each other? Probably lots of goals from both sides. And exactly this will be our pick for this LaLiga clash. Both Teams to Score and Over 2.5 goals. 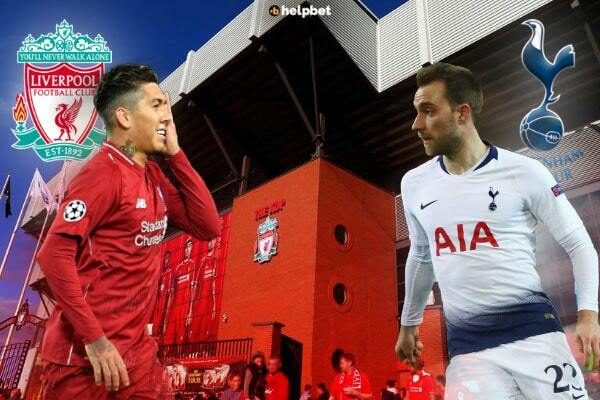 Liverpool and Tottenham will face each other at Anfield in the most important match of the day. The Reds are undefeated in their last 36 home matches and are eager to retain top position in the standings. Tottenham have a three away league games defeat streak. They have lost ground in the race for a top-four finish and need a positive result here in order to keep their position. So there is motivation for both rivals. The Jurgen Klopp’s side is a better team though, and they are expected to win. But not with a clean sheet. Eintracht Frankfurt will host VfB Stuttgart at Commerzbank-Arena tonight. The two teams have entirely different ambitions in the second half of the season. Stuttgart are trying to avoid relegation while Frankfurt wants to be at Bundesliga’s top four teams. They are full of confidence after four straight Bundesliga wins and a nine-match unbeaten run in the league. Of course they are the ultimate favourites to win this match, and we predict that this will be with a lot of goals. And this is exactly what we are going to place in our betslip. The combination of Frankfurt to win with over 2.5 goals.